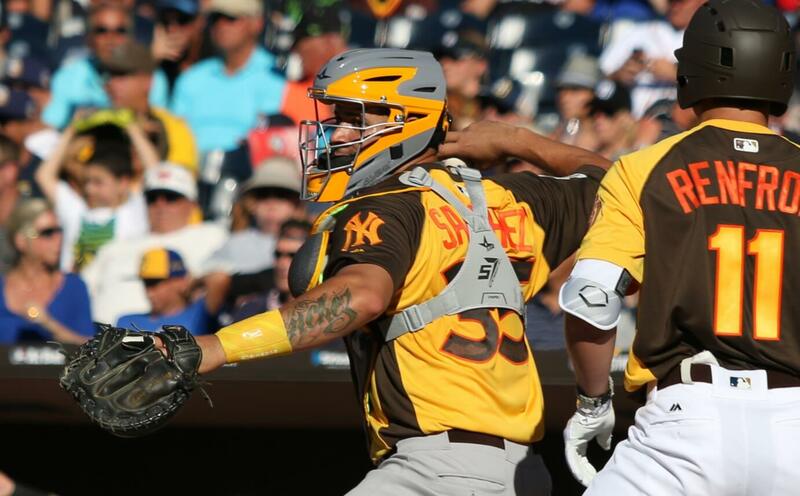 Gary Sanchez rocks the Evoshield Speed Stripe wrist guard, available at the link. 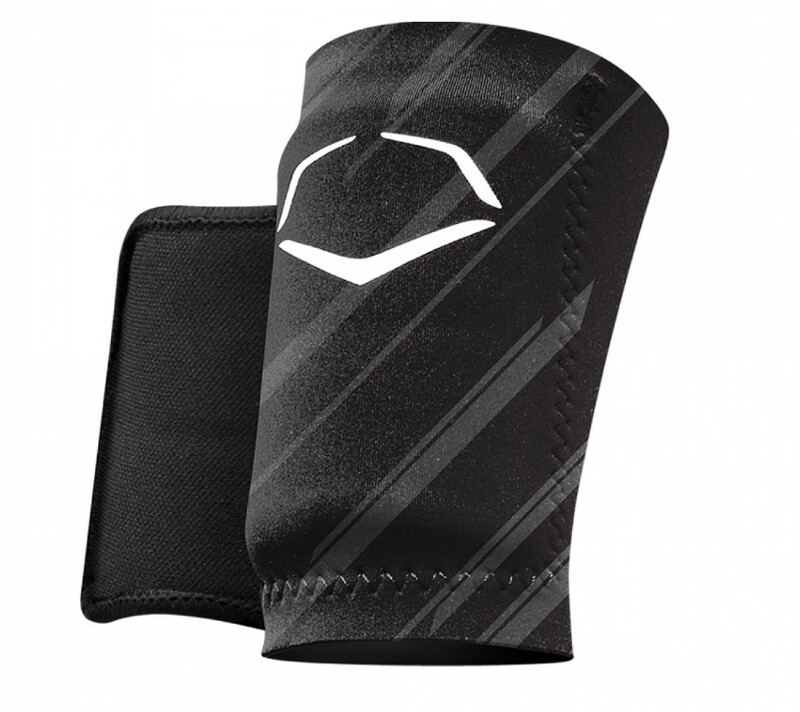 Previously he’d worn the All Star equivalent, the D3O available here. 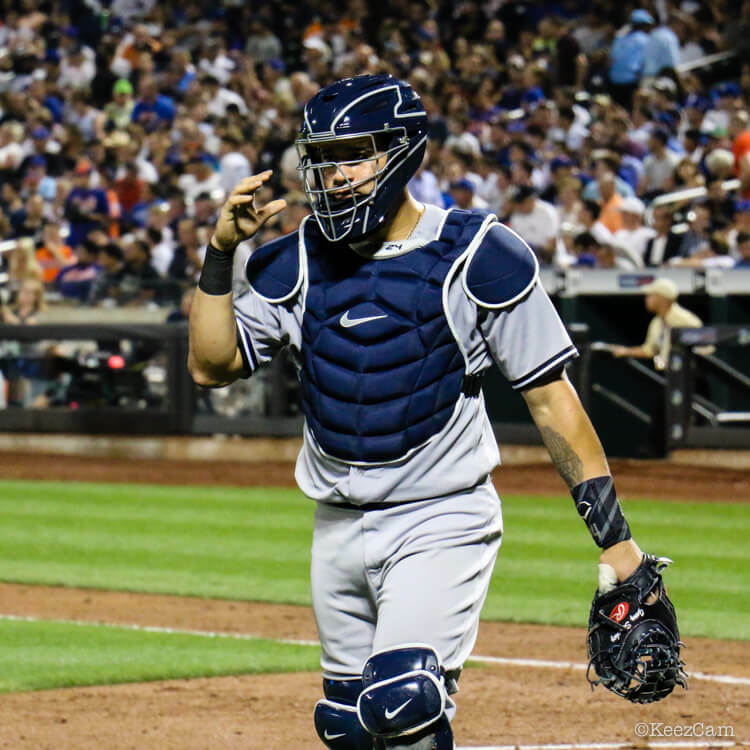 Categories: Gary Sanchez, Gear, Wrist Guard, New York Yankees, Catcher.